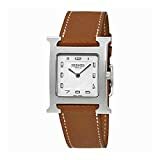 Enjoy the these “je ne sais quoi” of Ultra luxury fashion watch reviews featuring the latest and best selling Hermes watches, the perfect accessory to complete your look. Most people when they think about Hermès they visualise a grand and magnificent French fashion design house. Little do they know that this leading member of the old guard occupies a very important position in the world of horology, exemplified by their beautiful watches. 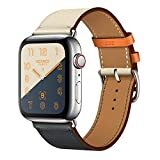 These latest and best Hermes Watch Reviews are graced with top insights and tips from highly rated owner user reviews. Hermes is one of the most iconic ultra lux fashion brands with a rich history offering the pedigree and charm when it comes to styling for the elite and the “who is who” of the fashion world. Hermes is the perfect partner for the lifestyle choice oozing sophistication, elegance and charm of luxury living. 2 Are Hermes watches investment timepieces? 3 What’s the warranty for Hermes Watches? Hermes is a fashion house steeped in tremendous history and tradition. It has been owned within the Family for five generations spanning a little short of two centuries. This world renowned fashion label is a symbol of sophisticated class worldwide. From its early days gracing the ruling classes and European noblemen with saddlery and fine equestrian leather goods, Hermes has evolved for the present day and are best known for their high-end handbags as well as a range of other superior goods. Thats right just thinking about Hermès and the mind will switch into visualisations of a world full of elitist elegance and the ultra luxurious magnificence of French luxury fashion designing. Guess what, this elite design house and manufacturer has also a very important place in horology due to its collaboration with Jaeger-LeCoultre. Also there has been decades of collaboration with retailing Universal Genève wristwatches in Paris. Hermès in the late 1970s also started to produce its own line of watches, starting with the The Arceau, Heure H, and Cape Cod all leading the way with incorporating timeless elegance using playful design, later to become a characteristic of the top ultra luxury fashion brand. However in the early days Hermès watches did not quite make it in terms of ranking with serious credentials amongst the leading watch enthusiasts, collectors, and critics due to their reliance on fairly standard quartz or automatic movements. Nevertheless the evolution continued and things moved on in the historical process with great leaps and bounds being achieved especially during their collaboration with Vaucher Fleurier around 10 years ago. We think the Slim might well have been the strategic turning point for Hermès watches. This came about in 2006 when Hermès added in-house-movement manufacturing by taking a 25% ownership in the Vaucher Fleurier, the world class watch manufacturer. As a result some of the Cape Cod and the newly released Dressage models received exclusive calibers. Hermès followed up by launching a poetic way to read and control the time with Le Temps Suspendu (Stopped Time), and the Dressage L’Heure Masquée (Hidden Hour). Delivering impressive technical specifications these two watches were outstanding but still very niche orientated due to the nature of their complications, and consequently their pricing. 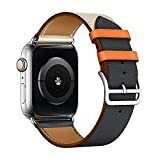 In 2015, Hermès partnered with Apple Inc. to produce the Apple Watch Hermès, combining Apple’s smartwatch with Hermès’s specially crafted single tour, double tour, and cuff watch bands. Are Hermes watches investment timepieces? We wouldn’t say that Hermès watches are an investment piece as they will probably not hold their value unless a limited number were made. Nevertheless Hermès watches are really fun to wear without a doubt. If you prefer to have a dress watch then we would say that you might be better off with a Cartier or Patek Philippe. If you are getting your first expensive watch it is better to go with a watch maker that has a long pedigree with expensive watches. We have noticed that some expensive watches with 18K gold scratch more easily compared to other watches with the same specs. We also noticed that Cartier watches seem to have this pedigree and there watches are very durable for everyday use. Hermès watches are more of a luxury adorning jewelry type of watch brand and as such should not be considered as true investment timepieces. Most Hermes watches will most definately lose a dramatic amount of value and moreover are not well known by everyone all over the world unlike a Rolex. Best to buy a usable watch not to sell but rather to wear and enjoy. In terms of investment strictly speaking, there is no watch in the world you can use as investment. Having said that ROLEX is a currency which is accepted worldwide (juat in a case you need quick money). Everyone everywhere who knows a little about watches would recognise a Rolex as a top class watch worth spending a little money on. If you are concerned about buying a watch as an investment, you would be amazed to see what kind of watches can command what kind of prices. Yes it is true that watches and clocks are collected by investors but these were usually people who know the market and the different watch makers really well. When they go for valuations then white gloves would be were worn to protect those pristine watches from the elements. Hardly something you could wear! With the most modern collections like for example SWATCH watches prices can become very ridiculous at auctions making them very collectabile indeed. 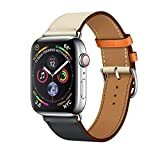 Hermes watches reviews rather like Cartier reveal a more glamourous high fashion watches niche perception of users rather than that of fine watches. Similar to Tiffany’s having different product lines for different market segments. We would say that at the end of the day it is best to buy an expensive watch like Rolex, Hermes, Cartier, Philippe Patek and the likes thereof if you have plenty of replaceable cash to spend and would like to enjoy your life to the max. The bottom line is not to think about expensive watches, jewelry or handbags as an investment. Best to take it is an unintended concequence if you are able to make money from reselling them them later down the line. Always best to bear in mind that these types of goods are often really hard to resell in difficult times when you might need quick cashflow. What’s the warranty for Hermes Watches? 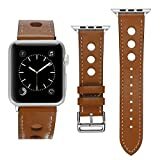 Save your favorite Hermes watch to the Shopping cart and complete the purchase whenever you are ready. 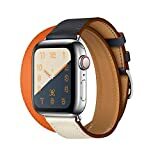 The best Hermes Watches Reviews will help you find the perfect luxury high fashion accessory to take with you wherever you go. Take a look at our individual product featured reviews to get a more in depth appreciation of each product specification as well as our own Full Review and analysis. Hope you have been able to locate your favourite new and trusted companion from our Best Hermes Watch Reviews. WatchiWatches is proud to have presented the best Hermes Watches Reviews to highlight the brilliance of the Hermes Timepiece collection. 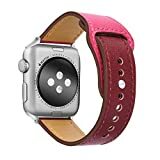 Check the ultimate Hermes Watch listings and reviews including separate GPS fitness wearables review highlighting the best Hermes has to offer for high end fashion look. Another Hermes watches review by WatchiWatches. Hermes watches is the ultimate high end fashion accessory and we hope users will enjoy the attention that this brand brings. We thank our readers for valuable customer reviews and for hands-on feedback and insights for our review site at WatchiWatches.